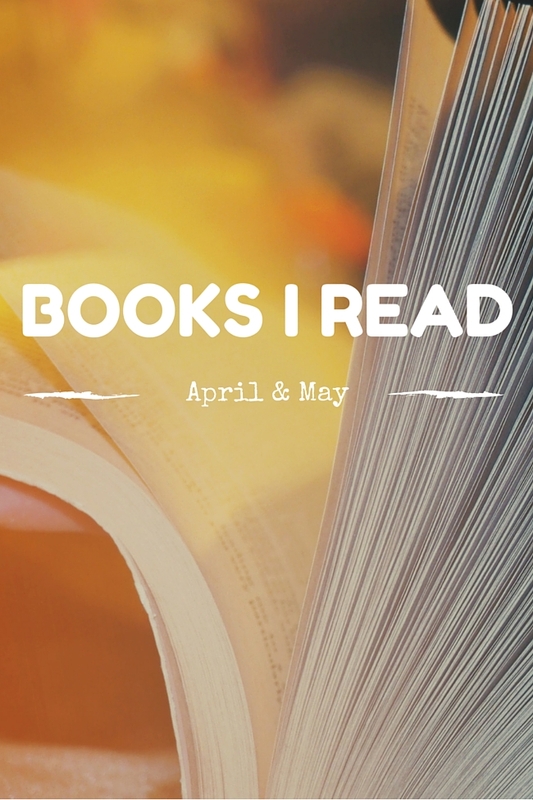 I read 11 books over the past two months – yay! I thought that having a baby would slow down my reading progress, but during breastfeeding I’ve been committed to reading more books instead of aimlessly scrolling through social media. So far, so good! I’ve read a wide variety of books, too – some easy fiction, some non-fiction, some memoirs, some parenting books… a little bit o’ everything – most of which I would recommend to others. // The Unlikely Pilgrimage of Harold Fry – I wish I had read this book before I had read The Love Song of Miss Queenie, because it all would have made more sense, I think! I don’t think this book is a ‘must read’ but I really enjoyed it and would recommend both books. // Fear: Essential Wisdom for Getting Through the Storm – Honestly, I was expecting to like this book more than I did. While there were some good quotes in it and some nuggets of wisdom I took away about dealing with anxiety and overcoming the power of fear in our lives, I sadly didn’t love it. However, I’m going to look into different books by this author because some of my friends love his work and I feel like I must be missing something or maybe I just read this book in too much in a rush or in a sleep deprived state. // Elevating Child Care: A Guide to Respectful Parenting – I consider this a ‘must read’ for every parent or person taking care of a child. I love Janet Lansbury’s blog and basically everything she says/writes. The style of childcare she talks about just really, really resonates with me. // When Helping Hurts – My small group through church read this book together, and I thought it was interesting but repetitive. The book discusses how we (as a culture and as a church body) can help other people and organizations without causing them more harm than good. I thought some of the points were thought-provoking, but then the chapters got repetitive. If you’re someone who is passionate about volunteering (domestically or internationally), I would recommend skimming this book to understand the main concepts, but I don’t think it’s necessary to read every word. // Love the One You’re With – Another great (easy) summer read! This was the first book by Emily Giffin I’ve read, and it won’t be the last. This book was kind of about the path (in love) not taken, and the reader waits to see if the main character regrets being with her current guy when her ex comes back into her life. Cue dramatic music. This book won’t take you long to read, and it’s worth it if you want something quick and easy and entertaining. // A World of Babies: Imagined Childcare Guides for Seven Societies – My friend (thanks, Kait!) gifted me this book and I really enjoyed it. It’s a fictional book but it’s based on a lot of research about raising children in seven different cultures around the world. I now have a better appreciation for how uniquely babies are raised in different places around the globe, but also how similarly we do things and how (as moms) our decisions for our children are all made based on what we think we know and what our society tells us and what we truly believe is in the best interest of our children. This isn’t necessarily an easy or entertaining read, but it’s truly enlightening if you are interested in how babies are raised and how moms (to-be) are treated in other cultures. // What I Know For Sure – I can’t believe I hadn’t read this book sooner! I absolutely loved it and highly recommend it. It’s such a quick read, but I only read a few chapters each day so I could really think about Oprah’s words. I think this woman has so much wisdom! I love her anecdotes and honesty in writing about what she’s learned over her lifetime thus far and it really made me think about the things I know for sure. I think this would be a great graduation gift or a gift for a girlfriend who might be in a bit of a rut. // If You Have to Cry, Go Outside – Confession: I didn’t know who Kelly Cutrone was until I read this book. I had never seen her TV show nor did I know she even had one until I Googled her. This lady is intense and I wish I would have read this book when I was 22 and just getting started in my career. I honestly think this is a great book for young women just embarking on a career or new job, bu it wasn’t as relevant for me at my current life stage. That being said, I kind of wanted to take on the world after reading it, so I would recommend it! // No Bad Kids: Toddler Discipline Without Shame – Another Janet Lansbury book! Seriously, at the very least, check out her blog, and then if you like what she says – read her books! I loved this one because we’re dealing with some toddler behaviors with Clara and I thought her ideas on how to react were refreshing and insightful. But, her blog pretty much covers everything in her books, so it’s not necessary to buy her books unless you would rather read in that format. // My Life on the Road – Another strong woman I never knew existed is Gloria Steinem. Of course, after reading this book I can’t believe I didn’t know about her and I actually felt a bit bad about it! This book is about Gloria’s life on the road (obviously, per the title) and I learned a lot about her and the feminist movement in general. It really made me appreciate how far we (as a society and a gender) have come, but also how far we have to go. Also, it made me appreciate how much effort it has taken to get us where we are today. Ooh adding both of those parenting books to my list! I always forget how much I like Emily Giffin’s books until a new one comes out! I need to read some of her older ones. I’m going to have to check out Janet Lansbury!! You NEED to read The Kitchen House and Glory over Everything. (They’re a set.) Holy. Two VERY easily favorite books that just, whoa. I promise you’ll be so touched by ALL of it.